Before summer fades to fall and fields of corn are plowed under for the winter, we wanted to share our recipe for che bap, a Vietnamese corn pudding. 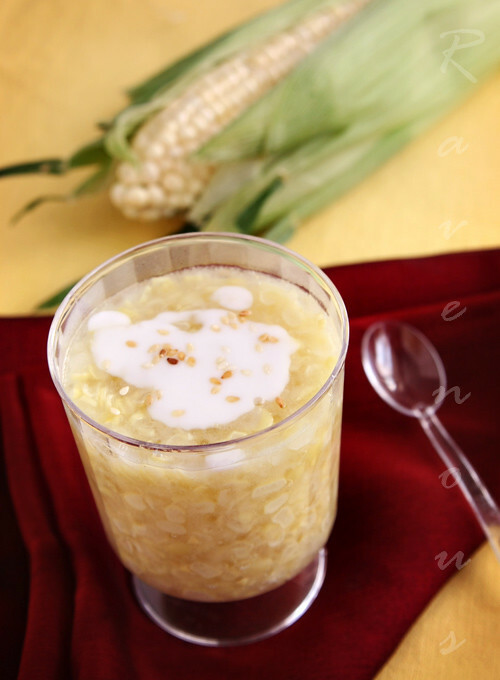 Che bap is an easy treat and great use of fresh corn when it’s in abundance. 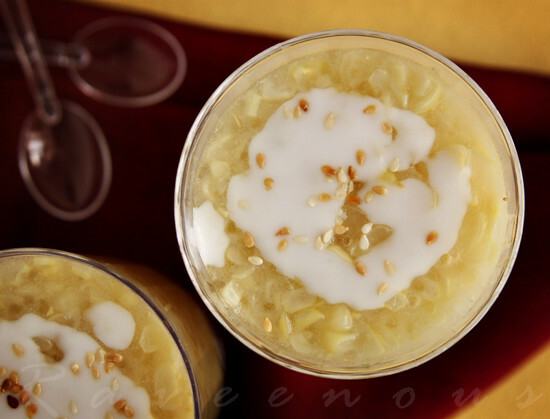 Our friend Anh, also recently made this delicious dessert, also called che ngo. Thinly shaved ripe kernals of corn, swimming in sweet and gelatinous soup of glutinous rice or tapioca pearls form the basis of this classic Vietnamese treat. 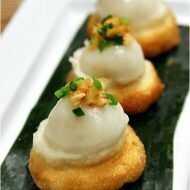 We actually prefer using tapioca pearls instead of glutinous rice because it’s quicker and lighter. Served warm with a dallop of thickened coconut milk and toasted sesame, che bap reminds us how sweet summer can be. 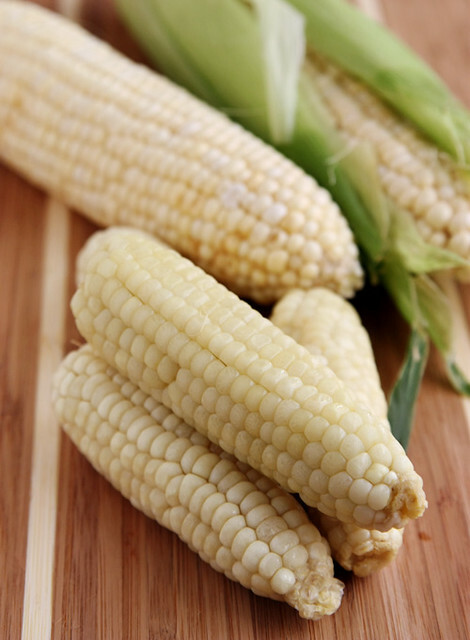 You can use any type of ripe corn, but we also like to add Vietnamese bap dai, translated literally to mean chewy corn that you find your Asian frozen foods section. As you can see, these are almost half the size of a regular ear of corn and the texture is slightly more toothsome and chewy to contrast with the crunchy ripe kernals of regular corn. 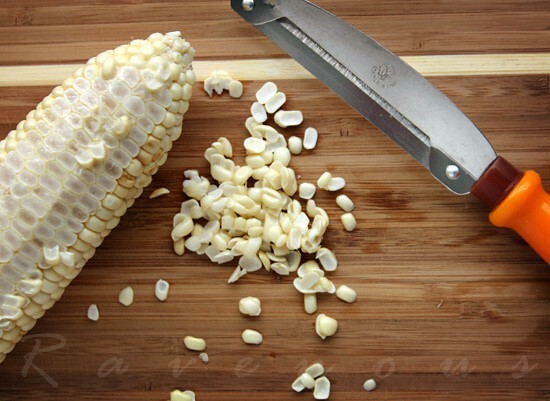 For the proper texture for this che, don’t just use a knife to shave the corn kernels. Use a large size vegetable peeler like the orange one seen here (found in Asian markets for about $2) and shave the kernels thinly like so. You can really get it down almost to the core. 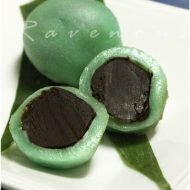 Many people enjoy this dessert warm but it is also be delicious cold or at room temperature. Savor the last flavors for summer with some che bap. In medium size pot, add corn and just enough water to cover the corn by about 1-2 cm. Add sugar and turn heat to medium high and bring to slow boil. Add the tapioca pearls/glutinous rice and turn down heat so it becomes a slow rolling boil. The tapioca pearls/glutinous rice will eventually become soft and transculent, thickening the mixture. If it's not thickened to your taste, add more tapioca pearls/glutinous rice. If it becomes too thickened for your taste, simply dilute with more water. Adjust sweetness with more sugar if desired and remove from heat. In small sauce pan, add coconut cream, sugar, salt and corn starch and on medium low heat, stir to thicken. We’ll be on vacation to Seattle and Vancouver for the next week, so have a happy and safe labor day weekend! 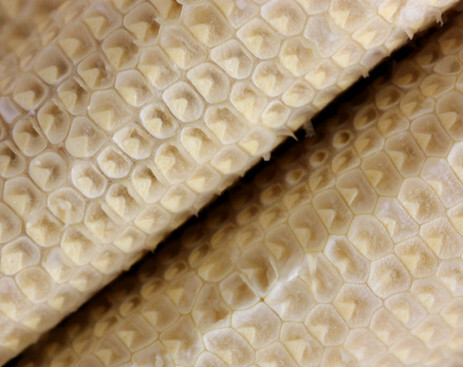 With corn's natural sweetness, it only makes sense to make such a delicious dessert with it. What a lovely summer treat. Thanks for sharing this. I love corn pudding, and this looks like a very interesting riff on it. Cord does not typically appear in Vietnamese cuisine, does it? 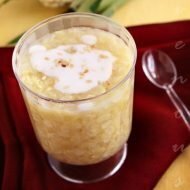 This unique corn pudding sounds terrific, especially with the coconut sauce, yum! Have a wonderful vacation! Che!!!! I love it dessert!! Thumbs up! This brings back fond childhood memories. My mom use to make this for me all the time I can eat by the pot full! Back then I think she used regular yellow cord and a blender. Looks delicious. Will try to make this! Yet another fantastic post! I too love this dessert, though I haven't had it in quite a while so thanks for the reminder. If I'm feeling lazy (as I often do), I could always ask my mother ha. How clever – I would never have thought of using a vegie peeler! Genius! Love the recipe – would go down a treat for afternoon tea right now! Hong & Kim….I'm so making this! This is one of my husband's favorite che! YUM!! Another great looking dish. I love corn! thank you so much and congrats to you too! guess depends on how big your serving size, but probably 10? Do we have to luộc.boil the corn before putting it in the pot? Does the tapioca have to be soaked for 30 min or is the soaking only for the rice? I was just wondering, what’s the translation for tapioca pearls or glutinous rice? Most of the groceries in my area only have Vietnamese or Chinese names on them, no English what-so-ever. This looks delicious, I will try it out. Thanks for the recipe. I loved che bap growing up. I wasn’t aware other people used rice instead of tapioca until recently…I think those whom tend towards rice are more Northern-influenced (maybe it’s not an abundant commodity up in Northern Vietnam?). All I know is we use a lot of tapioca in our ches and lots of coconut cream/milk (another commodity that isn’t as liberally used in ches for those from the North, I think). 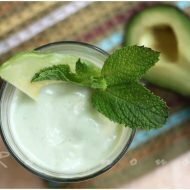 Anyway, it’s a great recipe and I hope you post more ches soon…especially the ones for black beans, green mung beans, etc.